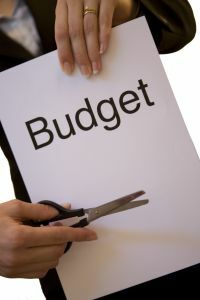 In towing the line under the Budget Control Act, the U.S. government has been feverishly battling over what programs or individuals will most suffer with the $85 million in mandated cuts on the table. Our Boston Social Security Disability Insurance lawyers understand that the Budget Control Act, which went into effect March 1, 2013, will affect different programs differently. Some will feel the pain slowly, subtly. Others, like SSDI, may feel the burn of those reductions swiftly and intensely. The program, which maintains a budget of $11.5 billion, will have to be cut by 8 percent, according to a report from The Baltimore Sun. That is going to deliver a harsh blow to the program. Those likely to be most acutely affected are those waiting with pending disability claims or those who are planning to soon file. As the Sun put it, the checks will continue to arrive on time, but just about every other task that the administration has a hand in is going to be delayed. For example, let’s say you need to call the SSDI hotline to have a question answered. The wait to reach a representative is expected to take at least 10 minutes longer. Or, if you need to stop by a field office to drop off some paperwork. In the last year, some 19 field offices have been closed – including one just outside of Boston. Many more have implemented severely limited hours of operation. Wait times in offices could top more than an hour before an individual is put in contact with an employee. And waiting for work on a disability claim decision, the agency said, is probably going to take at least a month longer on average. This is deeply troubling, as such claims can already take a year or longer. In the meantime, claimants are just barely scraping by, unable to work and often relying on help family members and friends while they wait for a determination. As it stands, the Social Security Administration has for years battled to clear a backlog of disputed disability claims. It appears some progress has been made. In December of 2010, there were nearly 706,000 disability claims appeals pending. That actually represents a decrease, as it meant the wait time for that hearing was, on average, 390 days. Two years earlier, the wait time had peaked at more than 530 days. The goal set forth by the federal government was that the administration was going to have that backlog reduced to a working total of 500,000 at any given time. Former Social Security commissioner Michal Astrue has indicated that an 8 percent budget reduction for the agency was going to have a detrimental impact on that progress. The proposed budget would have the program cutting some 5,000 jobs through attrition and then letting go of approximately 1,500 temporary workers and pretty much doing away with all overtime for all employees. While it’s always been in a claimant’s best interest to hire an attorney to handle the claim for you, now is not the time you can take any chances.